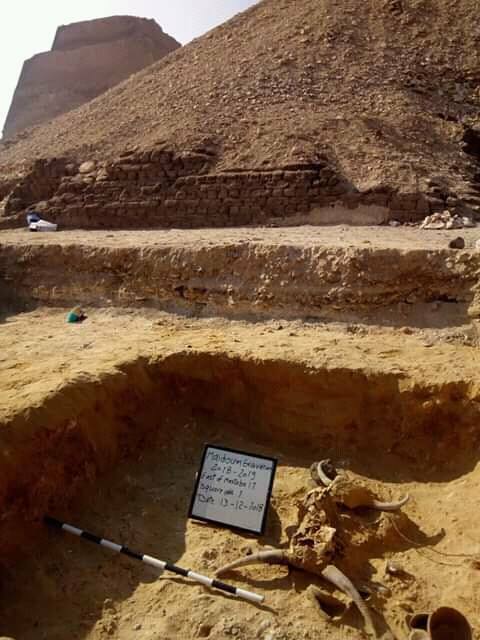 Egyptian archaeologists excavating the ruins of a pyramid 60 miles outside of Cairo have discovered the skeletal remains of a 13-year-old girl huddled inside a tomb. Exactly how or when she died is a mystery, though the experts say the site itself dates back to the end of the Third Dynasty roughly 4,600 years ago. 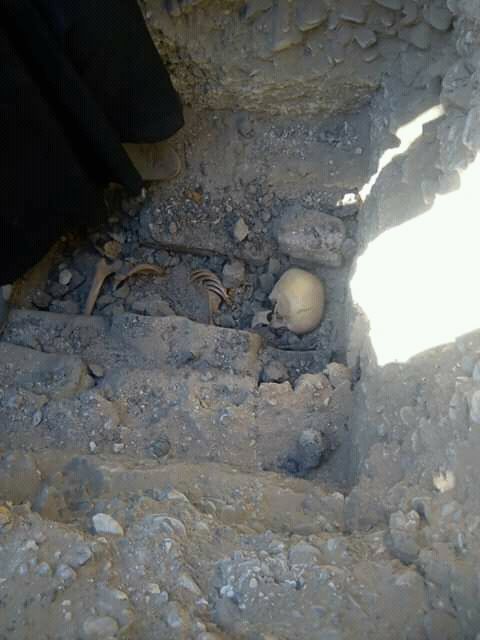 The tomb was empty apart from the skeleton, which was buried in the squatting position, but the team also found two animal skulls and three ceramic vessels nearby that were likely placed as funerary offerings. 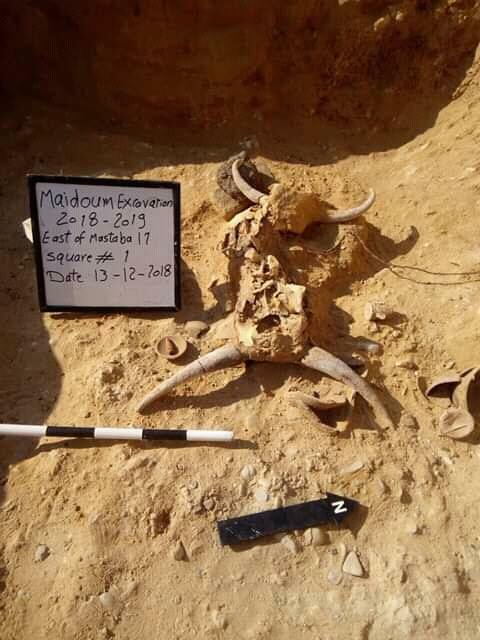 The skull offerings appear to have come from bulls, according to Egypt’s Ministry of Antiquities. 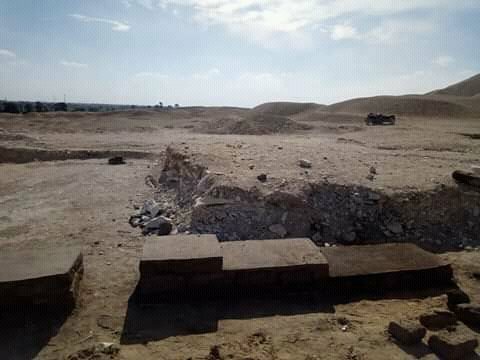 Researchers came across the burial during work on the partially-collapsed Meidum pyramid, where the team is excavating a cemetery built near the end of the Third Dynasty. 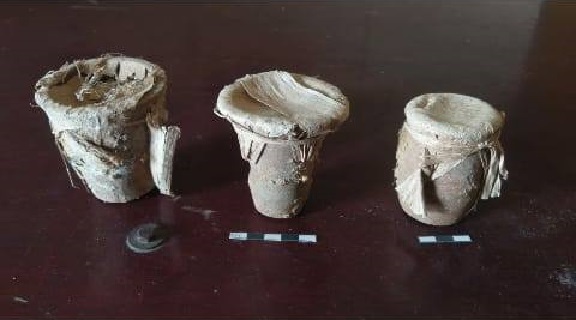 It’s thought that construction on the Meidum period began at the command of the Third Dynasty’s last pharaoh, Huni, and was continued by Sneferu, the first pharaoh of the Fourth Dynasty. Previous efforts at the site uncovered the tomb of Prince Nefar-Maat, Sneferu’s oldest son. While the newly-discovered bones indicate the remains belong to a girl who was around 13 years old when she died, much about the burial and the offerings are still unclear. Researchers do not know the identity of the buried teenager. The latest burial was found surrounded by a partially intact brick wall, and the team is now working to restore and reinforce the structures.